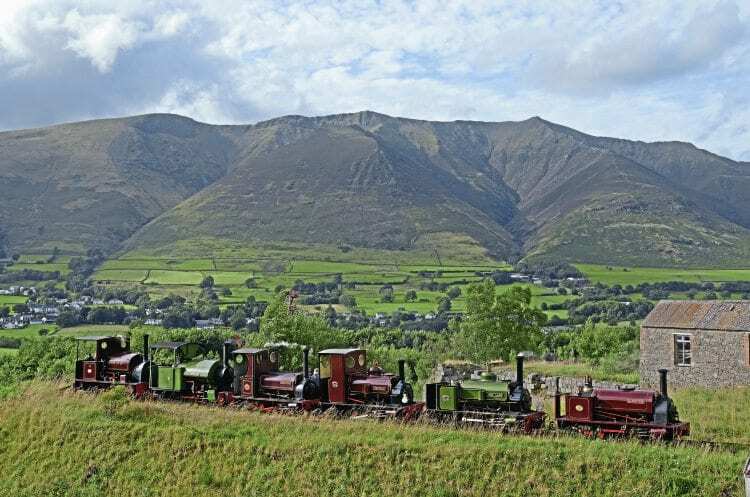 THRELKELD Quarry Railway’s July 29-30 annual gala featured visits by Hampshire Narrow Gauge Railway Trust’s Hunslet 0-4-0ST Cloister, West Lancashire Light Railway’s Hunslet 0-4-0ST Irish Mail and three Statfold Barn Railway locos: Hunslet 0-4-0STs Statfold and Jack Lane and Hudswell, Clarke 0-4-0ST Lautoka Mill No. 19. They joined resident Bagnall 0-4-0ST Sir Tom. The event was themed around the 50th anniversary of the end of steam at Dinorwic quarry. Cloister was making a welcome return having been damaged by contractors during loading last year while on loan to The Purbeck Mineral and Mining Museum at Norden. The damage was repaired at Statfold Barn Railway (RM May) where it steamed on July 1 for a Friends and Families day before departing. Cloister’s next appearance was to be at West Lancashire Light Railway (WLLR) where, with Statfold’s Jack Lane and Statfold also visiting, it was to participate in an August 12-13 gala, forming part of WLLR’s 50th anniversary year celebrations. Cloister’s future operating base has yet to be established.